Introductions and Welcome: David Aschenbrenner, Chair, opened the meeting at 6:30pm. Firefighters from Milwaukie Station 2 advised the Fire District will have a bond levy on the May 2015 ballot asking for a continuation of the bond levy from 2001 that will expire this year. The rate will be .10/$1000 valued property, slightly less than the current levy has been. The levy will cost an average $250,000 valued property $30/year or $250 over 15 years. The total generation will be $30 million, which will pay for replacement of self-contained breathing apparatus (which has a 15 yr. shelf life), improve fleet maintenance capability with a new work facility, replacement of aging fire engines, perform earthquake remediation work on some fire stations and possibly building new stations. Clackamas Fire District has expanded its size recently and the population of the fire district has consistently grown so the need for up to date equipment and more fire stations continues to be necessary. The vote requirement needs 50% turnout of registered voters in this election so he encouraged everyone to get registered and to file a ballot. Milwaukie Police Update: Captain Rash reported that applications are now on-line to fill a list for replacement officers as the department may need to do over the next couple of years. All City applications are now taken on-line which seems to have increased the number of applicants received so far. · Bikes for Kids Giveaway fundraiser spaghetti dinner April 11th at the American Legion, 6pm, $8 at the door. There will be a 50/50 raffle. Funds help to purchase new bikes for school-chosen children at Milwaukie’s 5 public elementary schools and the middle school. Walmart sells them to the MPD for cost. · This year’s Prescription Drug Turn In and Shred Day will be Saturday April 25th at the PSB. The DEA no longer sponsors the Drug Turn In but the Department feels it is a useful community service. Volunteers on-site will take materials so citizens don’t even have to get out of their cars. The service is free but a donation to the Milwaukie Public Safety Foundation which supports the K9 program and other public safety initiatives is appreciated. A problem was mentioned with the road markings at the 37th and Railroad intersection. People often mistake the left turn lane from Railroad and use the oncoming lane instead. Action: David Aschenbrenner to speak to Jason Rice in Engineering. Secretary’s Report the minutes from December 8th’s meeting were approved unanimously. Treasurer’s Report – Linda Hedges reported we have $6099.76 in savings and in checking. Greg Chaimov represents Milwaukie on the Board for Clackamas Community College. He reported that the Board is grateful for the passing of the bond levy and bonds will be issued in a few months. A committee has been formed of citizens who will help to inform the College how to plan for the Harmony and other campuses. David Aschenbrenner represents Milwaukie on this board. There was a brief discussion of what kind of facilities will be built on Harmony Road; the envisioned environment will include a duplicate 3 story building like the one that was built several years ago and will have public meeting space and the possibility exists for a satellite library. There was a brief discussion over the pros and cons of annexing the Harmony campus into the city of Milwaukie. Rowe Middle School Food for Success $500 to provide snacks for kids during the day. This way they can focus on studying and behaving well. Darren Smith moved, Melody Bocek seconded. Approved unanimously. Milwaukie Museum - $120 for archival supplies. Sarah Smith moved, Wally Bischoff seconded. Approved unanimously. Milwaukie Museum 2015 annual membership cost of $100. Linda Hedges moved and Wally Bischoff seconded the motion. It passed unanimously. 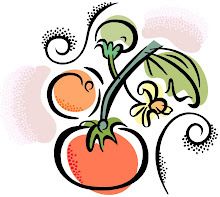 · Sarah Smith reported that 1600 lbs of produce was donated last year to Esther’s Pantry. 17 lbs. of greens and herbs have already been donated this year. There are four vacant plots available for the garden. · There was a successful work party at Homewood Park where a lot of ivy was pulled out. No new work party is scheduled at this time but ivy can always be pulled out. · Chris Ortolano reported on an alternative route from the Oak Street/Monroe intersection across the McFarland property probably parallel to the railroad tracks, across 37th to Washington, up Washington to Ada or Garrett and back to Monroe along either Garrett or Home Avenue. There are many benefits to this route, including the street already being low traffic volume and slow speed. Issues such as right of way across the McFarland property or within the Railroad right of way would have to be discussed. Another neighbor suggested it made sense to connect that route somehow to the Industrial Park. Both of these routes would provide interesting points along the route including the Historical Museum, Community Garden, Homewood Park, Bob’s Red Mill and so on. At least two pedestrian activated beacon crosswalks would need to be installed – 37th/Washington and 42nd/Washington. A Bike Milwaukie ride will follow the proposed alternative route this coming Sunday the 15th beginning at 9:30am at the 37th and Washington location. It’ll take about 2 hours. 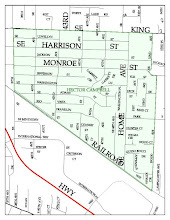 http://www.milwaukieoregon.gov/planning/monroe-street-neighborhood-greenway-concept-plan. Get in touch with Chris if you’d like to view a Google map that outlines the proposed bike route from the Springwater Corridor and including the new proposal. His email is cdortolano@gmail.com. · Lars Campbell mentioned an upcoming PAC meeting on February 18th and an Open House is planned in March. IF YOU HAVE INPUT relating to the new proposal or other information please contact Lars Campbell at info@hectorcampbellnda.org . · February 4th there was an open house displaying proposals for Central Milwaukie project work. More information is available at http://www.milwaukieoregon.gov/planning/moving-forward-milwaukie-central-milwaukie-public-eventopen-house. Lars Campbell represents Hector Campbell NDA on this project. · David Aschenbrenner reported there is no new information on the installation of a pedestrian activated crosswalk at Home Avenue and King Road. · The Street Surface Maintenance Program will include Railroad Avenue this summer. There has been discussion about adding 4 feet of paved path along the north side of the road and slightly shifting the road surface south. The SSMP does not rebuild the road, but replaces the top surface so potholes disappear and the surface is smoothed out. The City does not have funding to make the major improvements to Railroad Avenue that many would like to see, such as storm water improvements, a bike lane, and sidewalks. · Linda Hedges reported that almost all the equipment for the Beacon communication site in Campbell neighborhood has been purchased. She has been working with the City’s Emergency Manager Gary Parkin to design and plan for storage for these Beacon sites all over the City. One idea they have had is to build secure benches with storage inside for the equipment. 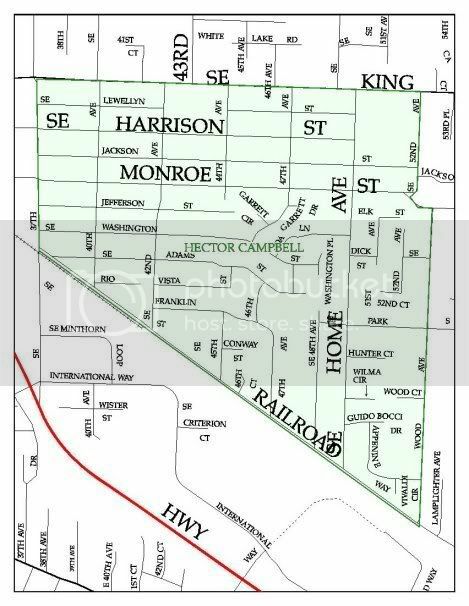 · David Aschenbrenner discussed a possible change to the NDA boundaries around SE 37th, Harrison and Oak which would use arterial roads for the delineation, which is different to the existing boundary lines. This would require a Comprehensive Plan amendment. He has had preliminary discussion with the two other affected NDA’s Chairs. One neighbor suggested that if they are going to be making changes they might consider including the whole of a street on a boundary line rather than splitting a street down the middle. · PSAC: Chris Ortolano mentioned he had asked Chief Bartol for a traffic analysis of serious accidents at the intersections with Hwy 224 and Oak, Harrison and Monroe. Information will be used to encourage changes to be made by ODOT at those intersections to promote pedestrian and bicycle safety. A neighbor asked that the 37th intersection be added to that discussion because it is a difficult and busy intersection especially around 4pm when Rowe MS lets out and the industrial park empties out. · PSAC: Members of PSAC have asked Council to add to their 2015 goals lists restoration of funding for the Walk Safely Milwaukie Program and for them to support both WSMP and the Safe Routes to Schools program, both which focus on pedestrian and traffic safety. · Vietnam Memorial Moving Wall project – The City of Milwaukie and American Legion have collaborated to bring a ½ scale model of the memorial wall to Milwaukie on July 23-26 2015. The Wall will be placed on the MHS track and will be open 24/7 for visitors who wish to view it, bring memorial items and commemorate the 50th anniversary of the war with events and displays. Linda Hedges if the coordinator for volunteers to help with this event and distributed volunteer forms for neighbors to complete. (There are about 500 volunteer work shifts that need to be filled). Volunteers will be needed to do everything from help others find names on the wall to litter patrol to grief counselors to set up and tear down of the Wall. More information on the City’s website at: http://www.milwaukieoregon.gov/citycouncil/vietnam-50th-commemoration-partnership. There was no further business. The meeting was adjourned at 8:30 pm.